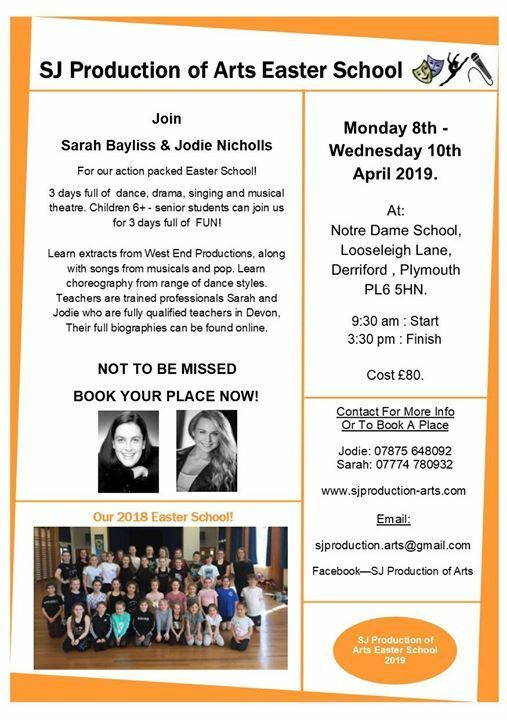 Join Sarah and Jodie For 3 Fantastic Days Of Dance, Singing, Acting and Musical Theatre! - Date – Monday 8th April – Wednesday 10th April 2019. - Time – 9:30am – 3:30pm Daily. *A £30 deposit is to be paid on booking, the remaining £50 is to be paid before or on the first day of the course. - The course is designed to help students grow in confidence, technique and performance. - Students will be spilt into two groups depending on age and ability. - Juniors will have classes in lyrical, jazz, musical theatre, acting and singing. - Seniors classes will be more intense in contemporary, jazz (including commercial, technical and fusion), musical theatre, singing and acting. - Students will be taught West End extracts. 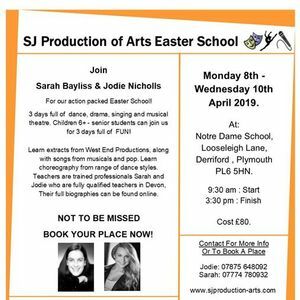 - All students will then perform in the end of course showcase, this is a wonderful way to show family and friends everything they have learnt with us. 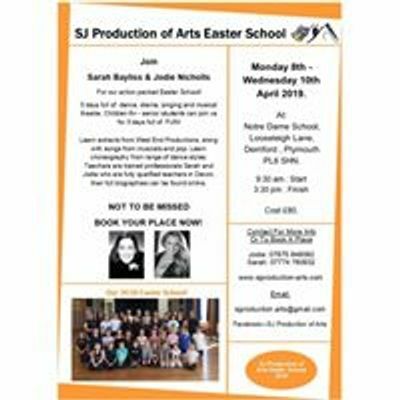 These productions help students with confidence, stage presence and performance skills. They are always the highlight of the course!!! - 3 days full of FUN! - Sarah and Jodie both trained and worked professionally allowing them to pass on the best knowledge and skill to all students. - They both teach locally around Devon and are fully quailed teachers. They can enter students in for examinations in specific genes. - They hold a DBS and full public liability. - They are both passionate about the arts and want to pass this on to all students who take art in any of their courses. To book a place at our Easter School please email to c2pwcm9kdWN0aW9uICEgYXJ0cyB8IGdtYWlsICEgY29t or simply message on our page! We will then send you details about payment for the deposit. We would love to welcome you all and if you do require any more information please do let us know!